HEARTVIEW P12/8i is a portable transtelephonic EKG device powered by battery that can record a 12-lead-standard electrocardiogram (EKG) with high-quality diagnostic potential. 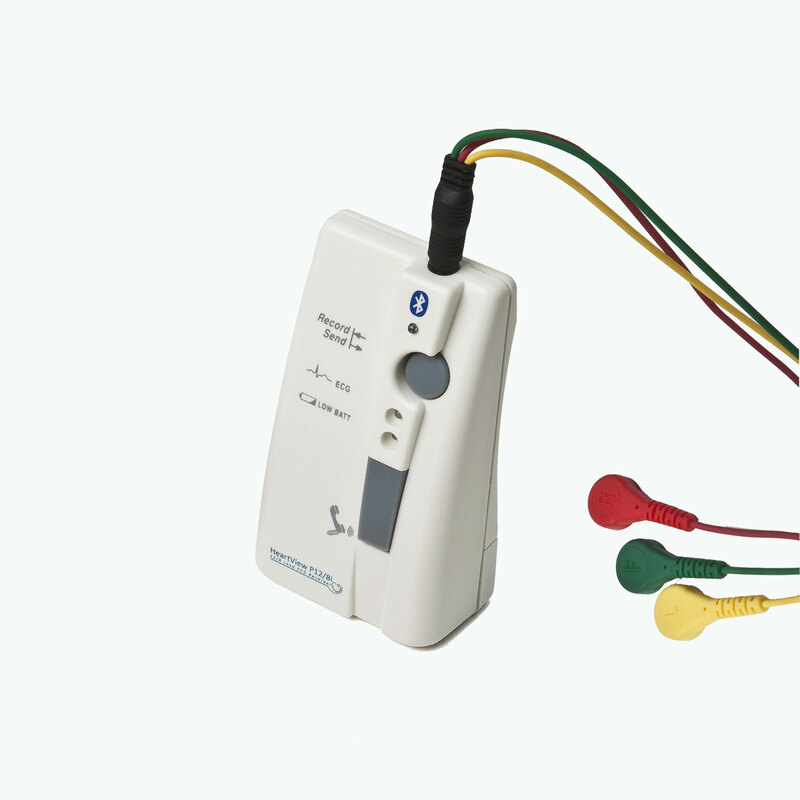 This device is equipped with a 3-conductor patient cable and 4 metal electrodes placed on the rear of the device. It records 2.5” per derivation and 10” of the second derivation in three subsequent moments. The design of HEARTVIEW P12/8i enables the patient to operate autonomously by attaching the electrodes and recording the EKG. The transmission may take place in two different ways: either by acoustic coupling of a simple telephonic device or via Bluetooth to the Mobile CliniQ App by Aerotel, set up on smartphone, Tablet or Pc on Windows. Data are then automatically transmitted to the Operating Center of Cardio On Line Europe for a real-time diagnostic report. HEARTVIEW P12/8i allows a wide range of uses: medical certificates of fitness for non-competitive sports, renewal of driving licences, diagnostic use for the interpretation of suspected cardiac symptoms, cardiologic remote assistance for home health care patients, monitoring for pharmacological studies and for all applications requiring an EKG. It is of utmost importance underlying that after the transmission, the EKG is read by a cardiologist of the Operating Center of Cardio On Line Europe. The confidential and exclusive relationship between physician and patient is granted in each single case.